I have always been one to look deeply, to find a way to choose more freedom and happiness…and support and assist others in doing the same. Over the course of my life, that has expressed through my work in the Healing Arts and as a Yoga and Meditation Teacher. 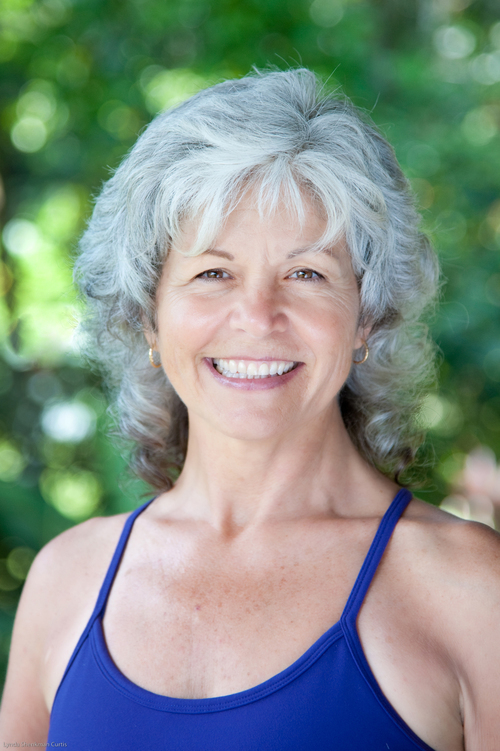 I began teaching Yoga and Movement over 30 years ago, but it was when I sought help with a yoga injury and met my teacher, Gary Kraftsow, that I was initiated into the true depth of the Yoga Tradition. It was a deep blessing to be trained and certified by the American Viniyoga Institute, where I was inspired and encouraged to continue to explore the creative and healing potential of Yoga….and pass on the timeless teachings of the lineage. The long and winding path of personal growth, practice and inquiry have given me a deep trust for our amazing human potential.The art and science of Yoga and Meditation are more relevant than ever in our world, and the time tested body-mind wisdom and practices offer the possibility for stability, grace and transformation to people at all stages of life. What an honor it is to share the wisdom of life’s journey to empower and encourage others on their own unique path…it is one of my greatest joys, to share Yoga with my students and clients.